This is a maze you stitch – you will always find your way out ! 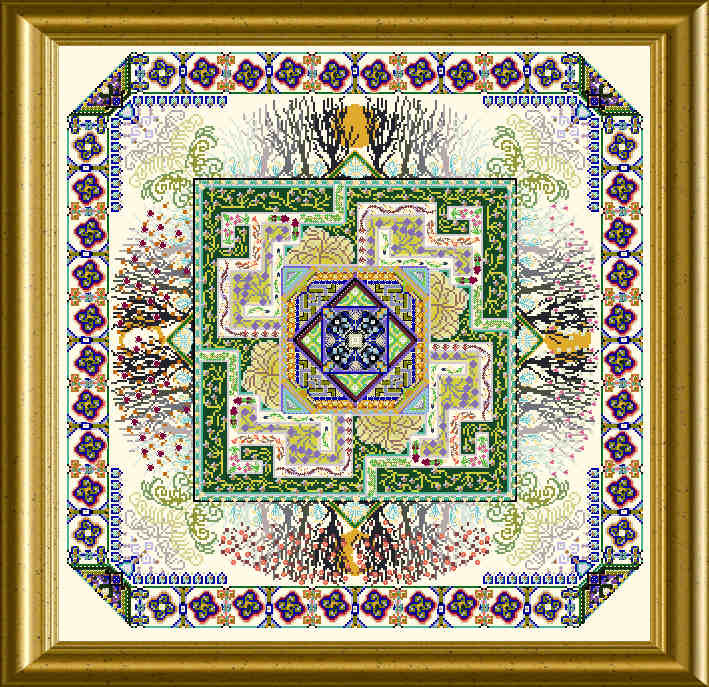 Celtic knotted ornaments embellish the border of this design, trees in the 4 seasons’ “dresses” and the 4 states of the Moon adorn this design and emphasize the importance of trees for the Celtic culture. 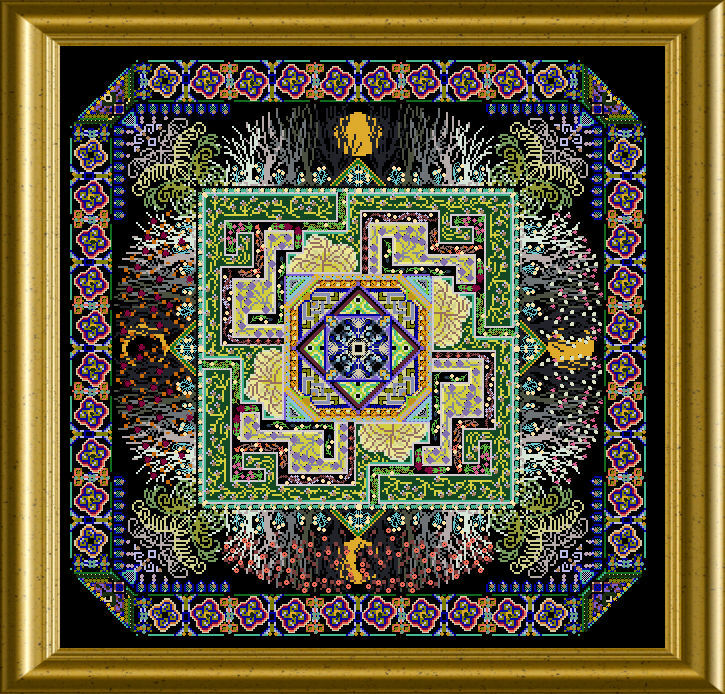 A base of cross stitches is filled with beautiful Special Stitches, which show the variegated silks to their best – additionally you will use beads and crystals, metallic braids and normal DMC threads to embroider this piece with a certain dimensionality. You will receive the files in 12 parts in the same way they were published back then as a Mystery project. The mere stitch count of this design is 288 x 288 stitches.